Given the fact that the Echo Dot runs $50 a piece or three for $130, I suspect price isn’t a major factor hampering Alexa adoption. But leave it to the folks at Anker to undercut the price of Amazon’s cheapest Echo by offering up a $35 smart speaker with Alexa built-in. Essentially, it’s an off-brand Dot with all of your standard Echo/Alexa functionality. The Genie is the latest entry in the budget accessory maker’s Eufy (that’s “you-fee”) line of home automation products. The brand was launched last year, but the smart speaker is apparently really going to get the ball rolling on new connected devices from the company, including another Roomba competitor, light bulbs, wall plugs and switches. 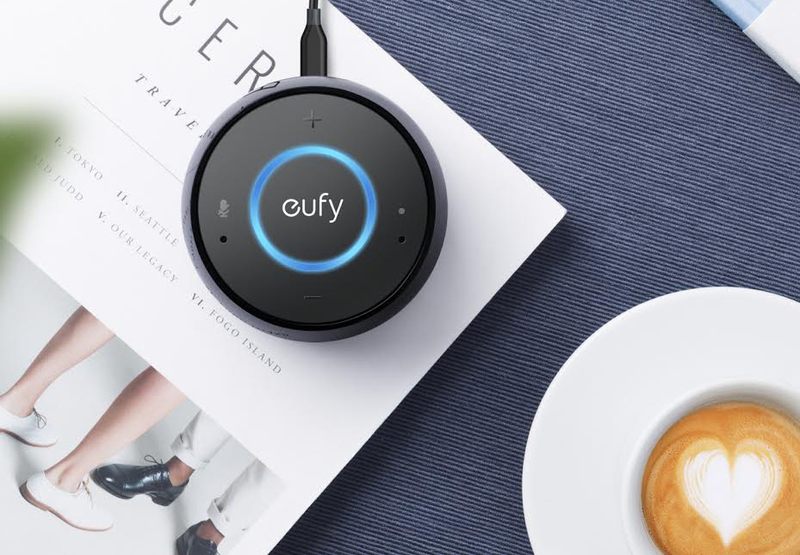 Anker says the Genie is the “core” of the Eufy Smart Home System, given the fact that all of the above products will also be Alexa-enabled. It’s understandable, of course, that the company is either unable or unwilling to build its own smart assistant in-house, as that’s a heck of a lot of R&D. But can you really claim a smart home system as your own when it’s so dependent on someone else’s AI? It’s not surprising that companies are trying to hop on the smart speaker bandwagon — Amazon has sold a ton of the things — but price is a tough place to distinguish yourself. After all, Amazon’s always sold hardware at close to cost, knowing full well that it will make up for it through e-commerce and content sales made through the device. Of course, the same goes for every company that builds Alexa into their products. Sure, these third-party devices could potentially eat into Echo sales, but at the end of the day, that means Amazon gets another Alexa portal in the home, without having to do any of the heavy lifting on the device side. The company even enlisted an Amazon VP to rattle off the things the Genie can do “for less than $35” in the press release — naturally, it’s a list of Alexa skills. For Anker, it’s a chance to hop on a trend while it’s still hot, offering customers the promise of slightly cheaper hardware. Anker promises that the sound quality is better here than on the Dot. Th Genie also uses Amazon’s Far-Field voice recognition technology, so it will play nicely with other Echoes. Though, the company does appear to have cut a corner or two in order to keep the price down — most notably, the inclusion of two microphones, versus Amazon’s seven. That could mean the product won’t be as good of a listener as Amazon’s. I’m not sure how much of a demand there is for a slightly cheaper version of the Echo Dot. And honestly, these super cheap smart speakers feel a bit like transitional devices as more and more companies build full Echo functionality into their connected home products. But for those who are interested, the product will be available starting August 16 — through Amazon, of course.